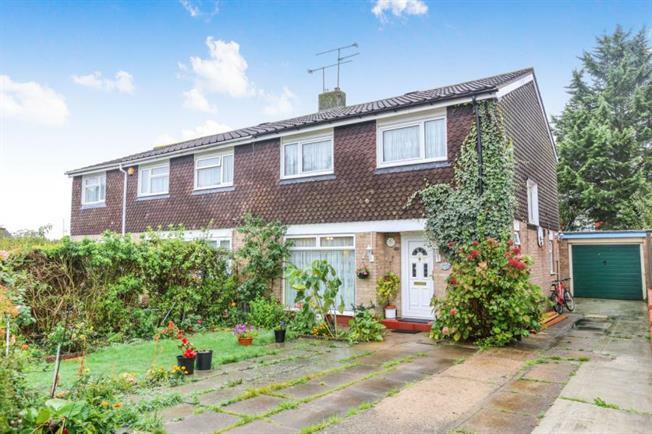 4 Bedroom Semi Detached House For Sale in Letchworth Garden City for Offers Over £425,000. A well presented four bedroom semi-detached family home located on Brandles Road in Letchworth Garden City. Brandles Road is located on the desirable Lordship area of Letchworth and is renowned for its schooling and quite living. The property comprises, lounge/ dining area, well presented kitchen, conservatory & downstairs WC, four well propertied bedrooms, family bathroom and rear garden. The property further benefits from a drive way and garage.